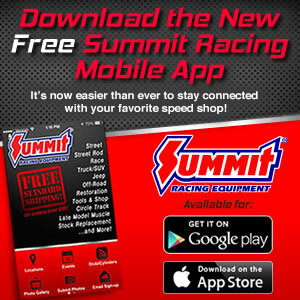 The 2014 IHRA Summit Racing Equipment Pro-Am Tour presented by AMSOIL Division 4 season gets underway April 11-13 at State Capitol Raceway in Baton Rouge, La. for the first of four events in the division. The weekend will feature two complete races. Racing action will get underway on Friday with a test and tune followed by two separate races Saturday and Sunday. WHAT TO EXPECT: The first stop on the 2014 Summit Racing Equipment Pro-Am Tour Division 4 season will take place at State Capitol Raceway in Baton Rouge after the original event season opener, scheduled to take place in March at Pine Valley Raceway, was postponed to later in the year. Racers are extremely excited about the return to Cajun Country as they embark on their chase for a Division 4 championship. FRIDAY, APRIL 11: Gates will open at Noon and close at 11 p.m.. Tech will be open on Friday from 3-9 p.m. with a test and tune scheduled for 5-10 p.m.
SATURDAY, APRIL 12: Gates will open at 7:30 a.m. and tech will open at 8 a.m. There will be two time trial/qualifying sessions beginning at 10 a.m. followed immediately by Pro-Am eliminations. SUNDAY, APRIL 13: Gates will open at 8 a.m. and God Speed Ministries will host a church service beginning at 8:30 a.m. Racing will get underway at 9 a.m. with one time trial/qualifying session followed immediately by Day 2 eliminations.